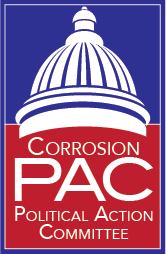 Please donate to CORROSION PAC. By checking here I confirm that I am a member of the NACE Institute or the family member of a NACE Institute member and a U. S. Citizen. Paid for by CORROSION PAC.